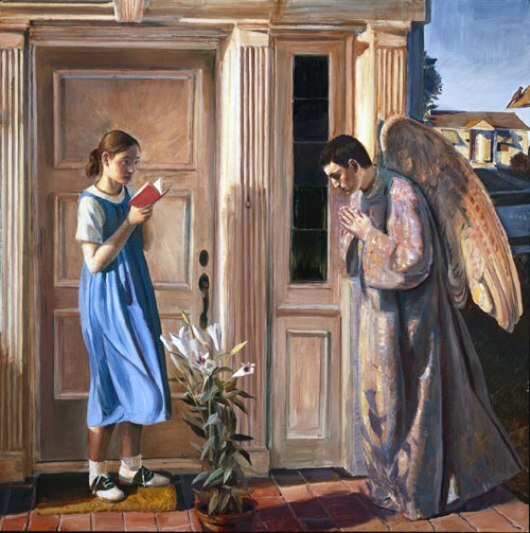 Mary, a young unmarried girl in the remote village of Nazareth, had a profound experience, a message from God that the gospels describe as the visit of an angel. She was asked to be the mother of a son who would one day be the Messiah. She accepted this awesome task. 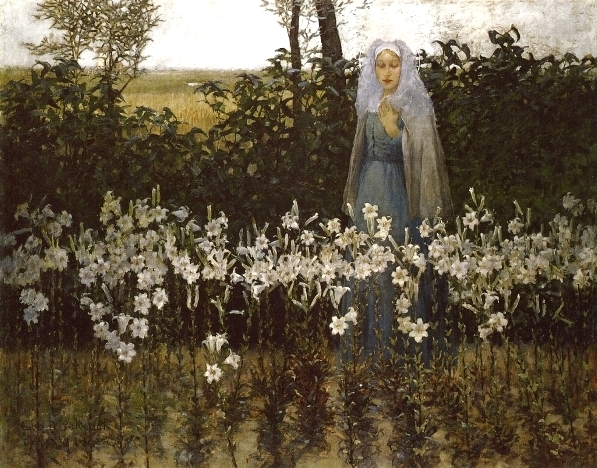 Light passing through a glass window, or a walled garden, symbolize Mary’s chastity. 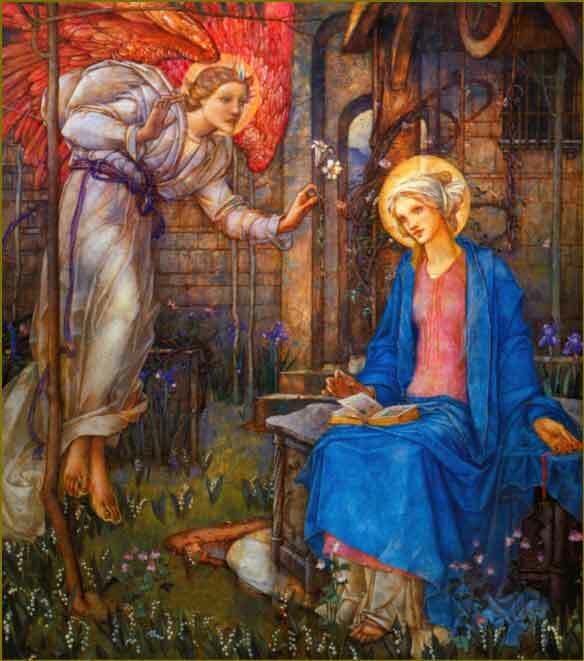 Christians believed the Annunciation took place in springtime – the Annunciation is celebrated on 25 March, nine months before Christmas Day. 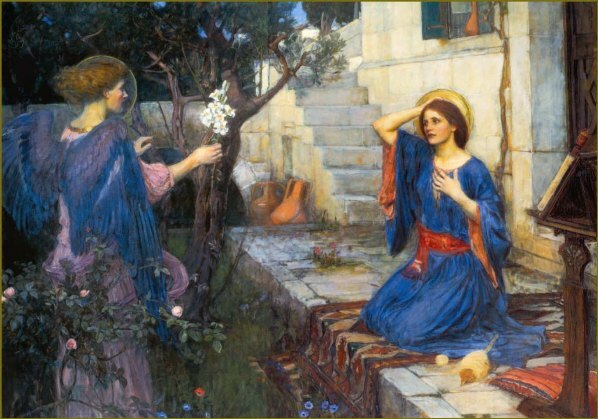 So Mary is often shown with a spring flower in a vase, which later became a lily, symbol of virginity. The archangel Gabriel is winged and traditionally in white. 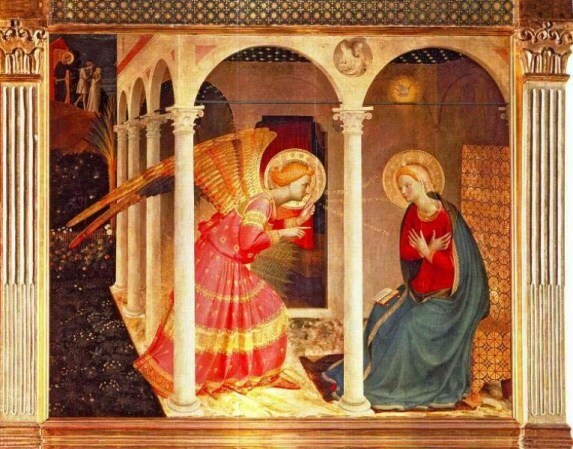 He may be descending towards the Virgin, or standing or kneeling before her. In early examples the angel holds a sceptre tipped with a fleur-de-lys, an attribute of Gabriel, but later he holds the lily. 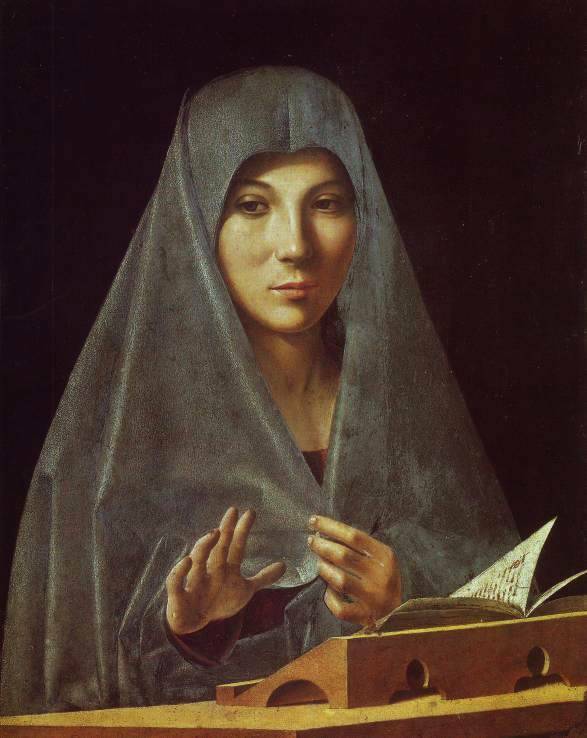 In Sienese paintings he holds an olive branch, a sign of the enmity that existed between Siena and Florence, since a lily was the emblem of Florence. 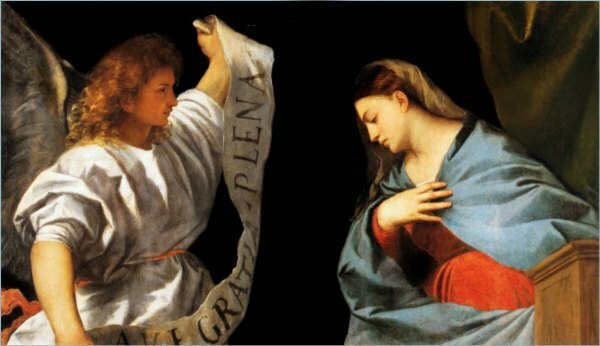 The dove usually descends on a slanting ray of light that touches the Virgin’s head or breast, delicately suggesting the moment of conception. 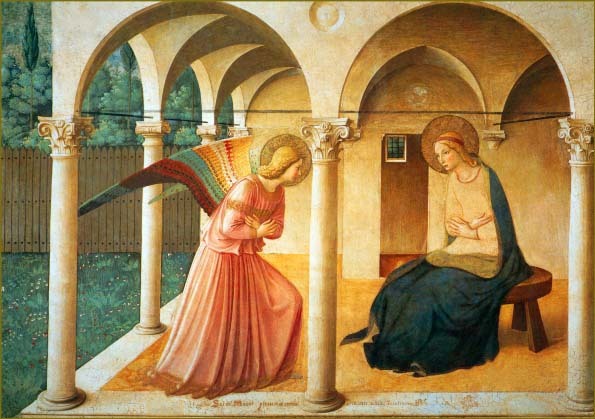 Italian Renaissance paintings show Mary in an open loggia, and only rarely in her house. Northern artists put her in an ecclesiastical setting, because the Gothic style with pointed arches and slender pillars symbolized Christianity and the Church. This contrasted with other buildings — rounded arches, plain pillars and domes — which correspond to the architectural style of the eastern Mediterranean, and are therefore symbolic of Judaism. The Virgin is sometimes depicted within or standing at the door of a Gothic building, while nearby the Romanesque crumbles into ruins. The area in which the Virgin receives the angel is well lit, illuminated by the light of the Christian faith, in contrast to the small dark windows of an ‘eastern’ (Romanesque) temple.